Close to 9000 DeLorean DMC-12 cars were made for the 1981-1983 model years by the DeLorean Motor Company (late 1982 cars were titled as 1983 models). It is believed that there are around 6000 still on the road today. They were manufactured near Belfast, Northern Ireland, although primarily for the US market. Spare parts, both new and reproductions are readily available at DeLorean only service facilities in the United States and Europe. The gull-wing doors require only 14 inches of clearance. All cars came from the factory with bare stainless steel panels, none were painted by the factory (although some were painted by dealers). Dish soap, a sponge, Windex and Stainless-Steel cleaner are the tools needed to keep the car looking clean. Scratches can be removed with a Scotch Bright Pad. Two DeLoreans were gold plated by the American Express company for promotional reasons. 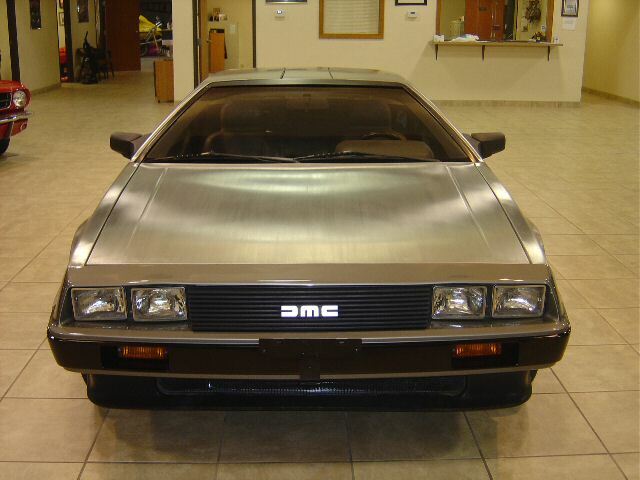 A third DeLorean, the last one off the production line, was also gold plated. For more specific details, check out the FAQ page at DMCNews.com, or at Wikipedia.com. But the official (and best) resource for true and accurate information is the DeLorean Museum itself. Please check it out.